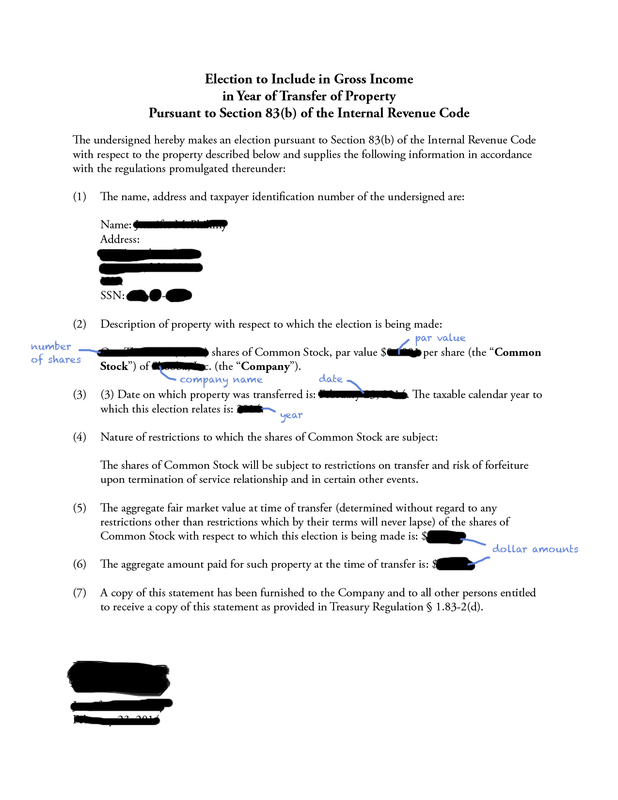 In simple terms, an 83(b) election is a letter you send to your friends at the IRS letting them know you’d like to be taxed now on your equity. 83(b) is named for the relevant section of the Internal Revenue Code. Check out our blog post, The Buzz about 83(b), to learn more, including the possible tax implications. Purchase the shares. I signed the paperwork and handed over a check for the purchase amount. With that my 30-day filing clock started ticking. Send it certified mail. Apparently, the IRS is quite serious about the 30-day deadline. (If you miss it there’s no recourse. Don’t bother crying or begging for mercy.) Therefore, I sashayed down to my local post office and sent it via certified mail with return receipt. This served as proof that I sent it within the time window until I got my stamped copy back from the IRS. Send it to the IRS again at tax time. * When tax season rolled around for that year, I remembered to include a copy of my 83(b) election with my personal tax return. Since the IRS does not accept 83(b) forms electronically, I did not e-file. 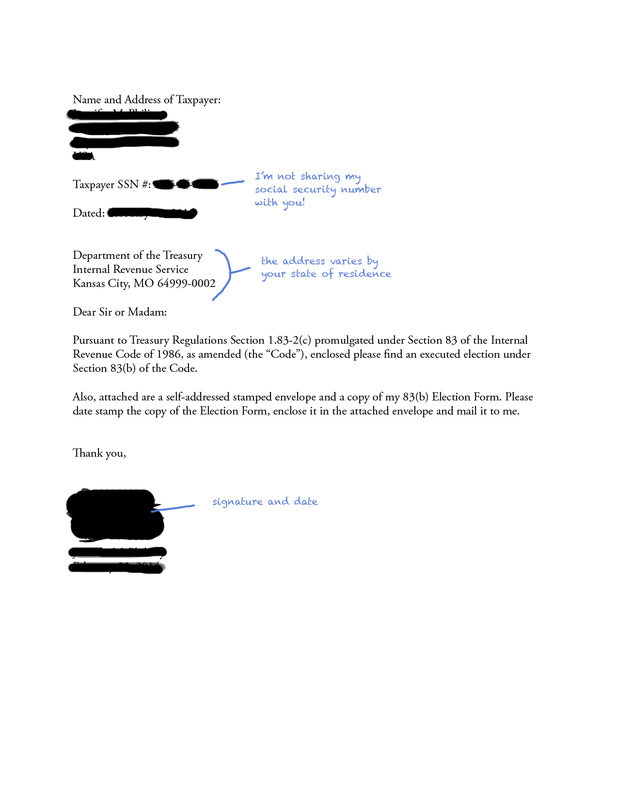 I printed my return, tucked in a copy of the 83(b), and mailed it off on April 15th—just in the nick of time! *Note: The IRS recently finalized a change that means you no longer have to include your 83(b) with your federal income tax return. You can learn more on the Pillsbury Tax Page. That’s what I did. If you decide an 83(b) election is right for you, I hope you’ll find this helpful. But remember: the IRS is always the definitive expert on the IRS—and the rules may change from year to year (like whether you have to include a copy with your tax return or not)—so check with them if you have any questions.